The Plein Air Chair by Fermob is a flexible and modern folding chair, which impresses with its simplicity, lightness, and mobility. 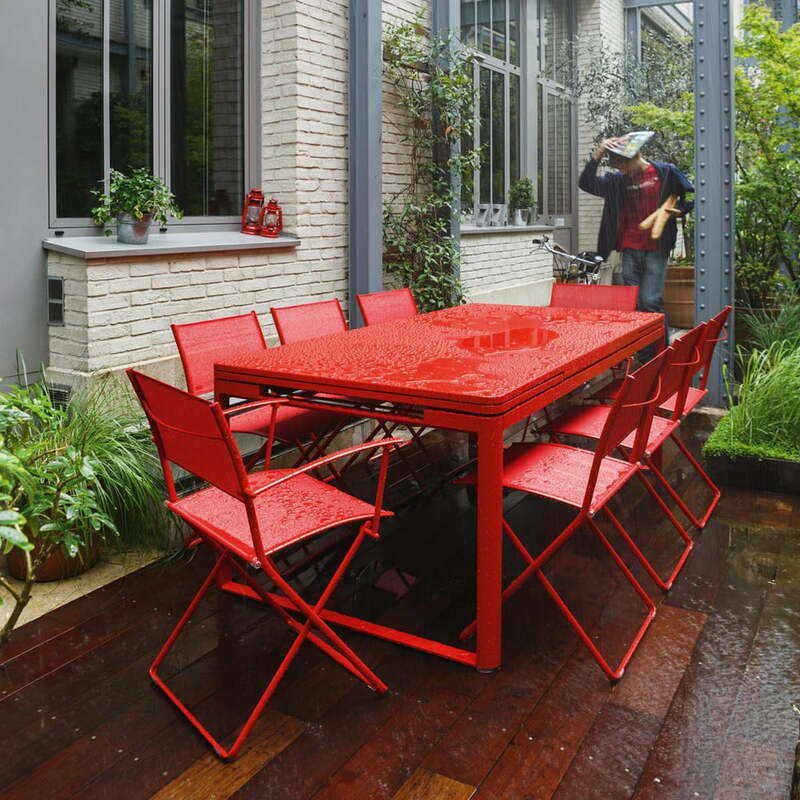 It is part of the same name Fermob collection which gathers versatile garden furniture. With the Plein Air collection for Fermob, Pascal Mourgue wanted to create a series which embodies the spirit of being outside. The tables and chairs from the collection invite you to go get fresh air, to breathe and to spend your time in the garden or on the terrace, whether in the city or in the countryside. 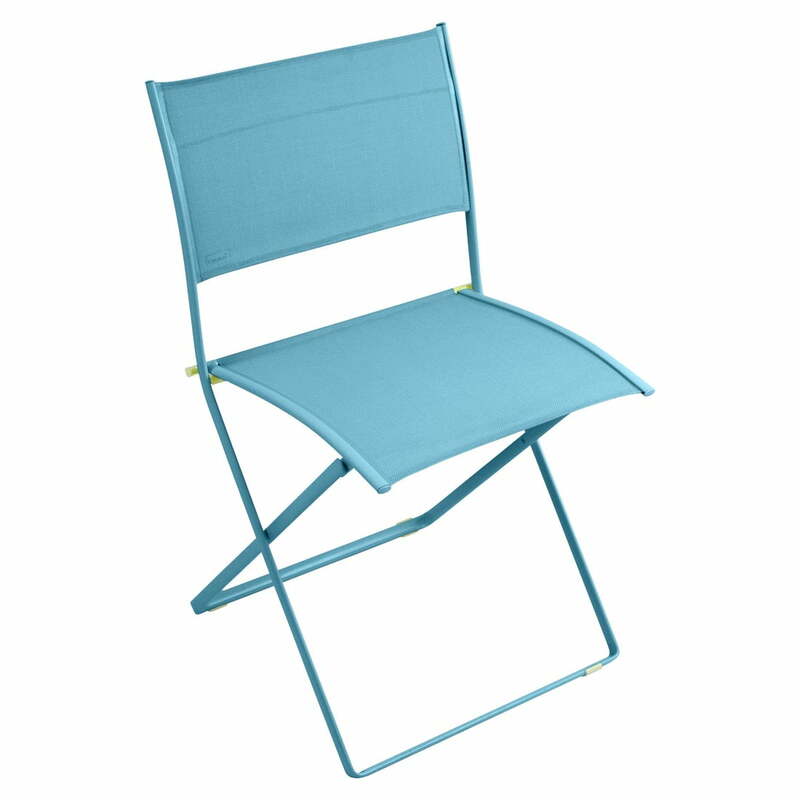 The folding chair is made of oval steel tube. Seat and backrest consist of a tear-proof outdoor technical fabric. Due to ultra highly effective treatment the chair is perfectly suited for outdoor use. The powder coating in different colours protects the chair against UV rays. More designs, respectively colours for the chair are available on request. Individual product view of the Plein Air chair by Fermob in cotton white. The Plein Air chair is a modern folding chair that can be used flexibly in indoor and outdoor areas. 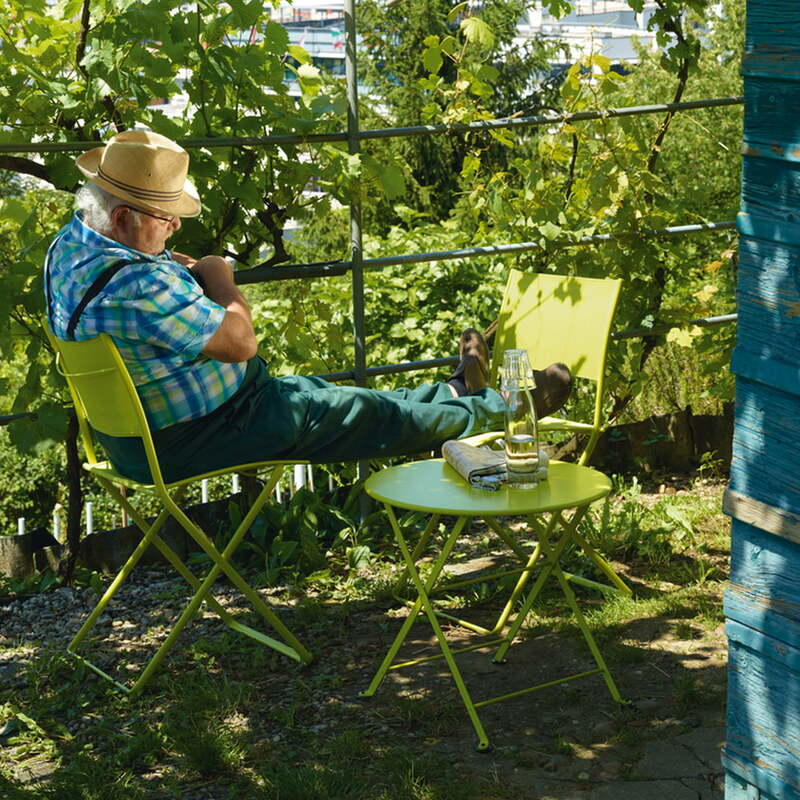 Single image of the Plein Air chair by Fermob in turquoise. 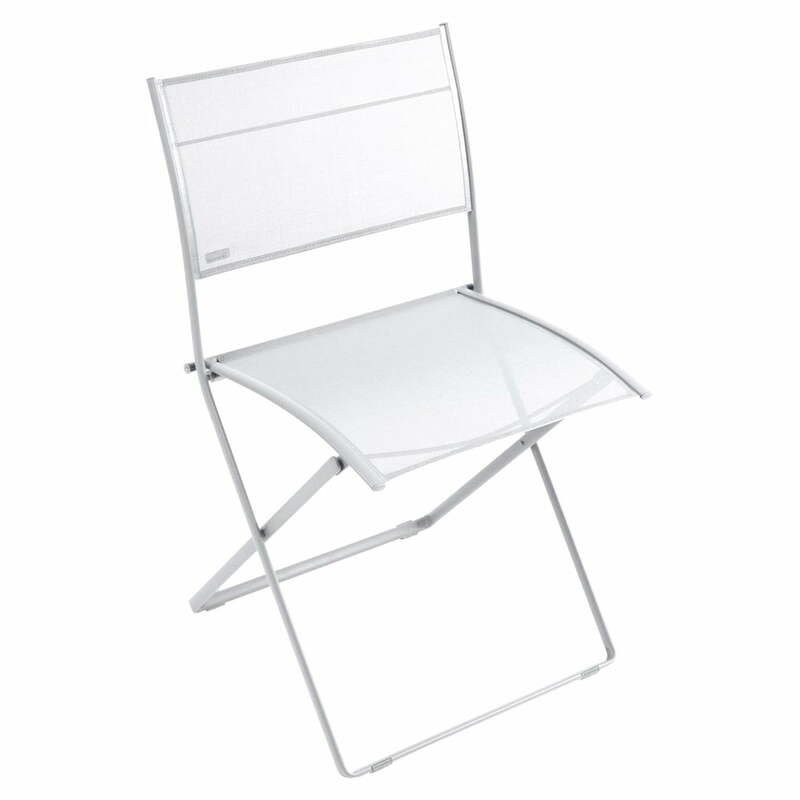 The Plein Air chair is a modern folding chair that can be used flexibly in indoor and outdoor areas. The tables and chairs from the Plein Air collection by Fermob invite you to go get fresh air, to breathe and to spend your time in the garden or on the terrace, whether in the city or in the countryside. 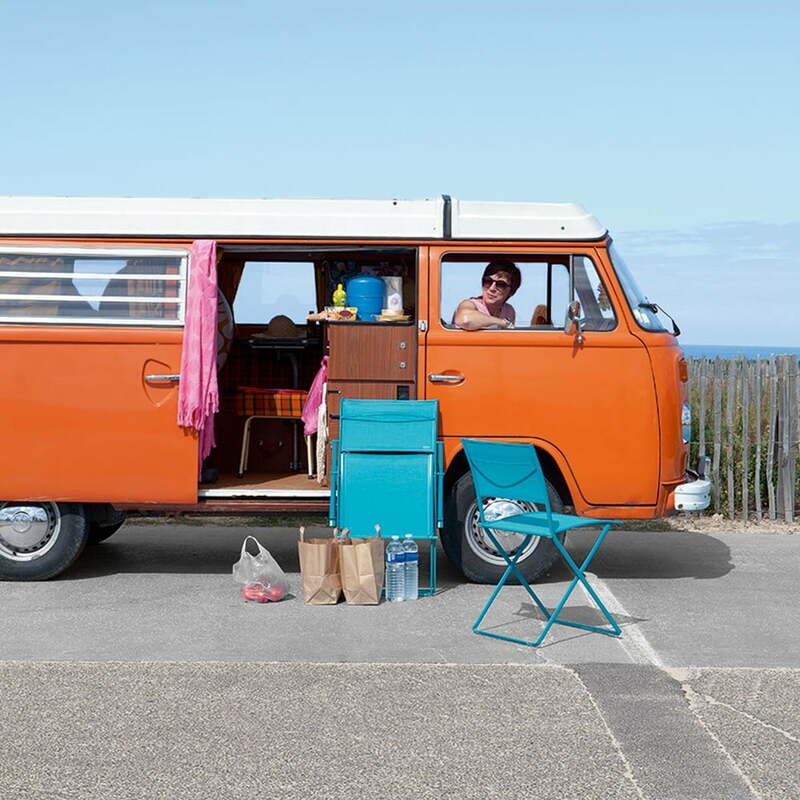 An extra rust protection treatment allows the use of the table in the outdoor area. The coating of the foldable Children’s Table by Fermob consists of UV-resistant powder-coating. This way, the colour also easily withstands the constant burdens of the garden and weather. The Plein Air Chair by Fermob is a flexible and modern folding chair, which impresses with its simplicity, lightness, and mobility. Like the table it belongs to the Plein Air collection. Thanks to the ultra highly effective treatment, the table and the chairs of the Plein Air collection by the brand Fermob are suitable for use outdoors. The Biarritz extending table from Fermob consists of an electro-galvanized steel plate and a frame made of steel and aluminium. Thanks to the protective treatment of the table, as the chairs of the Plein Air collection, it is suitable for use in outdoor areas.